This is a HUGE number for a fire loss. Fortunately the reinsurance system for fire has been well in place for a long time and this is well within their ability to pay. but the trend is concerning, especially since there is another 50,000 acres burning right now. overall this is part of the ever-increasing catastrophe losses world wide that in the long run will cause insurance costs to rise and there is no getting away from it, no matter how many people think they can make climate change go away by denying it. I attened the Future of Flood Insurance Summit in Miami this week. With the whole FEMA program being re-authorized and private carriers anxious to get in the market, it’s an exciting time for an insurance geek. One fascinating situation we heard about from an attorney involved in the case is happening in Houston. There are now two defined parties in a class action suit for Inverse Comdemnation, where there properties were effectively destroyed due to government action. The two different parties are the ones who lived ABOVE the flood control equipment, who flooded because the authorities held back on opening the controls to let water through, because that would flood the communities BELOW the equipment. The second group is the group BELOW the equipment, who ‘only’ flooded because the water was released! A no-win if there ever was one. I did not write this article and in fact credit Kelly of our office for finding it. We both do a lot of reading to keep up, and of course we are following the events in Houston with great interest. Regular readers will remember that in March I went to Washington D.C. for a big flood insurance conference. Recently I signed up for another in Kalispell, Montana in August, which will be right before the National Flood Insurance Program (NFIP) is renewed by Congress. The content of the legislation should be known by then if they keep working at the pace they are now. Apparently there is a lot of agreement on both sides as to what they want the bill to accomplish. Basically they are opening the system up to private insurance carriers, while still maintaining affordability standards that are part of the goal of the whole system. As you might expect, it is difficult to balance affordability with charging the correct rate for coverage. It’s a goal that really only a government can have, based on the societal goal of helping people stay in their homes in spite of the fact that sea levels are rising and the claims on flood insurance are rising each year. Private insurance carriers have to make a profit. So they need to charge rates that will allow claims to be paid. That’s the conflict. But congress is looking at some innovative ways, like tax credits for lower income people, to help them pay for coverage. But the news for the consumer is mostly good. The private flood insurers are able to use much more data than the government, to figure out the right rates. 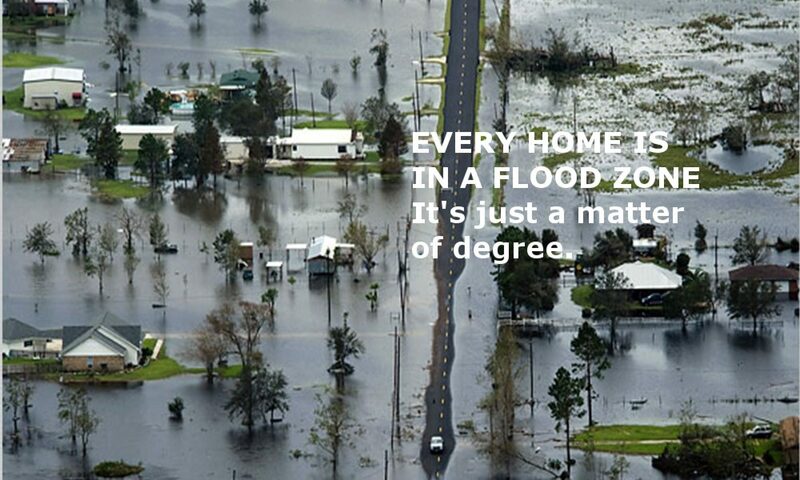 And frankly, many people are paying too much, based on current flood ‘zones’ that are very coarse, as opposed to the new data that is available, which will be able to tell the insurance carriers which homes that are ‘in a flood zone’ can be written at a lower rate. Anyway, these conferences are great. They give me a chance to talk to people in other parts of the catastrophe insurance industry such as claims adjusters and the actuaries who figure the rates. I also get to hear interpretations and analyses from people very high on the ladder of such things. So I come back not only having read the rules, but also with some information on the intent, and how they will be enforced. Finally, I am able to develop great contacts at our insurance companies, which enable us to get quick, definitive answers we might not get by calling ‘customer service’. We all know from experience with phone, cable, banks, etc. that dealing with first line customer service can be frustrating. Not that the people don’t want to help, but often they don’t have the knowledge to answer any but the most basic questions, and we already know the answer to most of those!